For many sales organizations, lead generation is the place where sales and marketing combine and too often, collide. 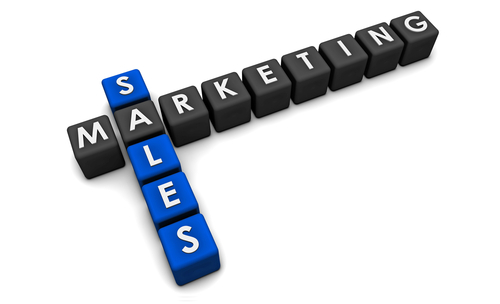 Dividing responsibilities between the “marketing” and “sales” teams can often be a cause for confusion, especially when the marketing team is taking on additional lead generation responsibilities that used to belong to the sales team. If your organization is trying to get more mileage out of your B2B lead generation efforts, it might help to take a fresh look at where your “marketing” activities stop, and where your “sales” activities begin. To maximize your lead generation opportunities, it helps to make sure that no one is dropping the baton during the handoff between the marketing and sales teams. According to a recent survey by MarketingSherpa, many companies are missing opportunities to better qualify their B2B sales leads, better understand the unique pain and problems that their prospects are facing, and create better-qualified appointment setting opportunities. Unless your organization is clarifying the expectations for both your marketing and sales teams, it is possible that no one is taking responsibility for these essential aspects of lead generation. As we’ve seen hundreds of times working for clients over the years, if your company is simply pouring more sales leads into the funnel, but without any proven process for filtering out the sales leads, you’re wasting resources, wasting time and missing out on big sales opportunities. Here are three worrisome signs that your company is “dropping the baton” during the lead generation hand-off between marketing and sales. 1. You’re not identifying a sales funnel: Perhaps this sounds like an extreme example, but it happens. According to the survey, 68% of companies have not identified a sales funnel at all. Without a standard process for filtering, measuring, tracking, evaluating, sorting and prioritizing sales leads, your sales team is flying blind. 2. No one is qualifying your B2B sales leads: According to MarketingSherpa, only 27% of B2B sales leads are qualified and ready prior to being passed on to the sales team. This is a common mistake that companies make with their B2B lead generation efforts: they pull out all the stops to obtain new business leads, but then don’t put any time or resources into qualifying the sales leads. This leads to wasted time and frustration as the sales team puts in many fruitless hours on the phone with prospects that aren’t ready to buy. 3. You’re not nurturing your existing business leads: What happens to your B2B sales leads once they’re in the pipeline, but not immediately ready to buy? Too often, companies are leaving money on the table by neglecting to follow-up with existing sales leads. Instead of assuming that a “not interested” response means that the prospect is “not interested” forever, your company needs to conduct ongoing lead nurturing to stay in contact with these prospects. 34% of the MarketingSherpa survey respondents said they contact their prospects once a month for lead nurturing follow-up, and 22% contact their business leads weekly.